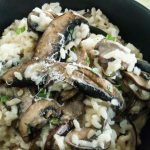 This Simple Parmesan Mushroom Risotto Recipe is a simple comfort food dish that will please everyone. Just a few ingredients but packed full of earthy mushroom and tangy parmesan cheese flavors. 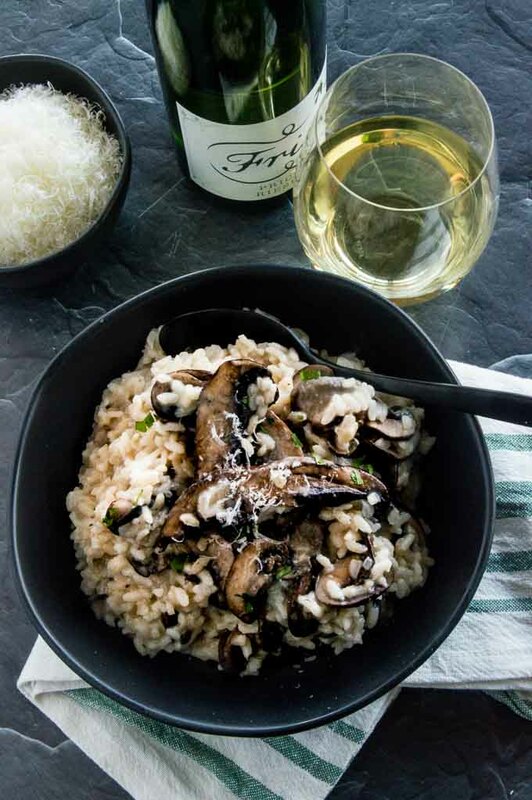 This Simple Parmesan Mushroom Risotto recipe is so simple to make. You really don’t even need to plan ahead to make it because pretty much all you need for it is in your pantry. Combined with the comfort food factor…..its a win/win dish. People often confuse Risotto as a pasta dish, but its actually a rice dish. Risotto is a Northern Italian dish that is made with arborio rice. How do you prepare the mushrooms for Risotto? 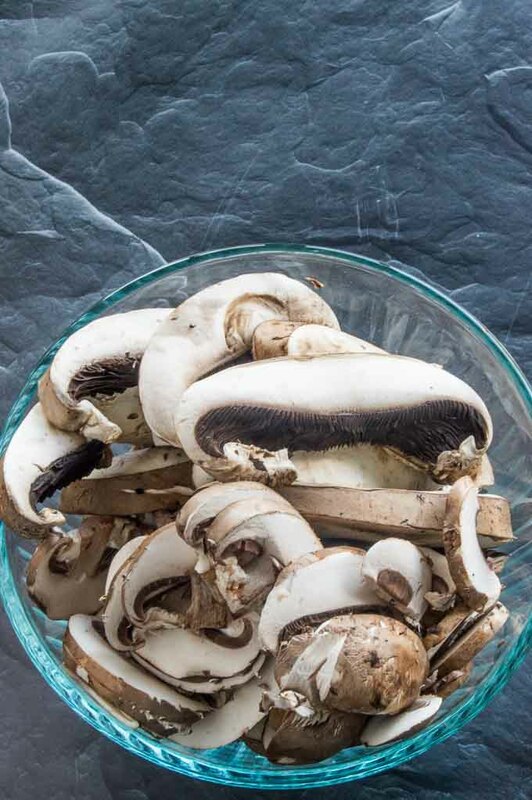 This post happens to be for a mushroom risotto recipe , but you could make it plain, with any fresh vegetables you have, or just toss in herbs and nuts. In this instance I’m making it with mushrooms so I purchased 2 different kinds. You will want to sauté to al dente any vegetables you are adding before starting the risotto. Bear in mind that it may look like a lot of mushrooms but when you saute them, they will shrink a lot. 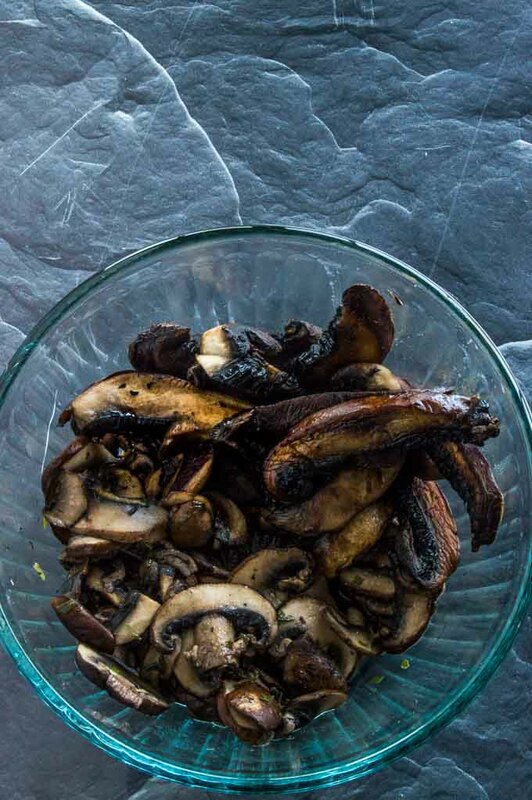 In this photo it is the same amount of mushrooms before and after cooking. Mushrooms take the comfort factor to a whole new level. I sauté the mushrooms to al dente before adding them in at the last minute. The earthy tones come out and add a depth of flavor to the dish. (This also is a bonus when making risotto for kids who hate mushrooms…..you can plate up their meals, then have all the extra delicious mushrooms for the people who love them. I usually pick a wine I really like so we can have a glass with dinner, which these days are Rieslings. The wine is sweet enough to counter balance the saltiness of the Parmesan cheese, but light enough to not make the dish really heavy. Don’t be intimidated by the reality cooking shows that say its hard to make….because it isn’t……but then again you don’t have to tell anyone that…..It can be your secret. Looking for other comfort food recipes to make during the week? 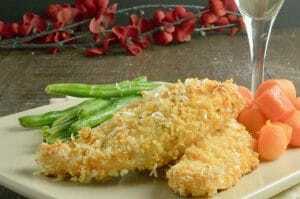 Check both these recipes for easy weeknight entertaining! In a sauté pan heat pan to medium high, then add the butter and olive oil and swirl around the pan. Once the butter has melted and olive oil is hot add the mushrooms and sauté until cooked thru. Add tarragon and mix thoroughly. Add Arborio rice and stir constantly, letting the rice toast in the pan until the center of the rice is translucent. Stir in cooked mushrooms into rice. Stir gently. 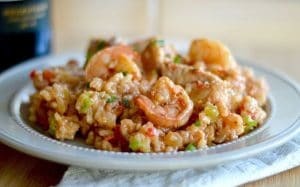 Your risotto looks fantastic! I love having mushrooms in my risotto. I also love your choice in wine. 😉 There’s nothing like a nice bottle of Riesling. I love mushrooms and risotto but my hubs is a mushroom hater. i’ll have to try this recipe next time he’s out and i’m solo for dinner. Omg this looks beyond delicious!!!! I will definitely be pinning so I can give this a try myself! Yummy!!! 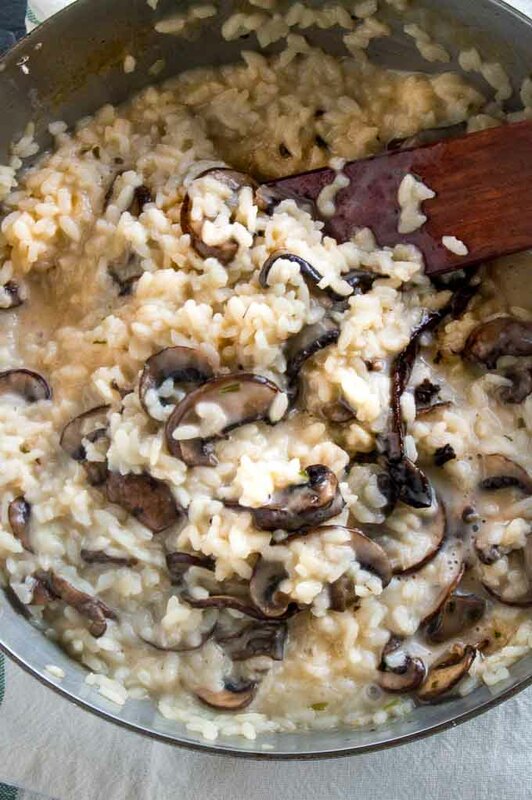 Mushrooms are so easy to make, I bet they taste great in this risotto. I find rices harder to make, consistently, but if the mushrooms are easy to make I could focus on the rice more. I have never made a rissotto before. I think that I assumed it was difficult and didn’t want to go to the trouble, but this sounds delicious! I love anything with mushrooms in it! Oh wow! This is my kind of comfort food. I am pinning this and plan on making it for my daughter when she visits. I can’t believe how simple this is! I bet my husband would love it. He enjoys mushrooms a lot. I’ll have to keep it in mind for dinner one night! We have a Risotto obsession in our house! We are going to have to try this one soon. We love all different versions! I love risotto, but I’ve never tried doing it on my ow. I would love to give your recipe a try. Oh yummmmm! Anything involving cheese has got my vote. Gorgeous food photography as well, I’d love to work more on my styling. Thanks Rebecca! Im with you, cheese rocks! This looks divine. My hubby and I used to make risotto all the time. Need to put it on our menu! I love risotto! I’ve seen a lot of different ways to prepare it lately. Yum! Looks great! I’m not a huge mushroom fan but my husband is and I think I’ll have to try it for him! Just add the mushrooms on the top of his and leave them off of yours. Thats what I do for the ones in my house that don’t care for mushrooms!! The only time I hear about bad risotto is from Gordon Ramsey! 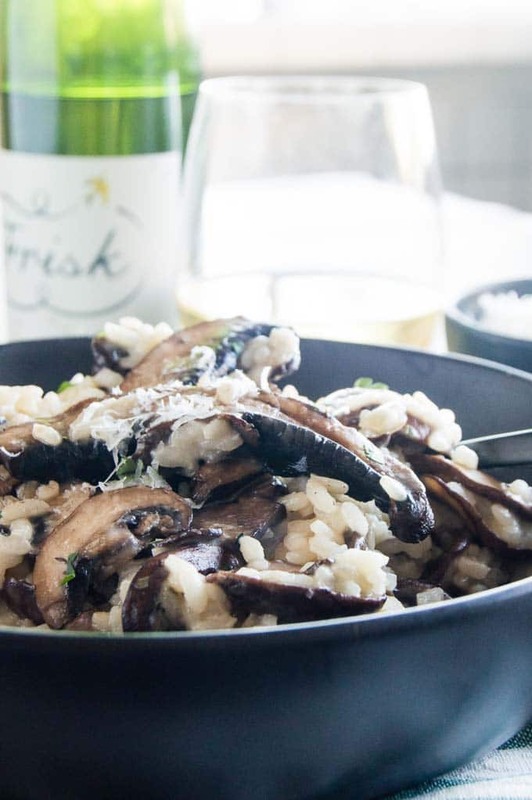 On another note this mushroom risotto looks delicious! I love risotto – and this looks so marvelously creamy. I have to try adding mushrooms at the end. I’ve usually done it at the beginning, and every once in a while they’re just a little… soggy… This technique should prevent that! Looks like a simple and delicious recipe. I like how you have laid out the recipe, with vivid images. I have noticed that recipes including rice make it much easier to cook for various numbers of people without really changing up the recipe too much. I make a cheesy rice dish similar to this that we make for large groups and tiny groups all the time. Love this and can’t wait to make it myself! Ah, yes, the pressure of perfect risotto. 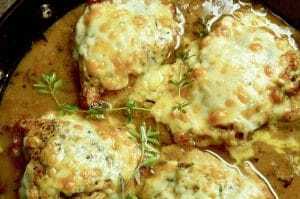 It is really a nice simple dish, but so tasty and the perfect excuse to drink a nice bottle of white:) Great recipe and post! I’ve always been afraid to try making risotto, probably because of all those cooking shows telling me it’s difficult! I think it’s time to give it a try! This risotto would be perfect for any dinner party. It is so elegant with the mushrooms and I can imagine just melts in your mouth. Yum! That sounds amazing. I have actually never had risotto, but it’s on Hells Kitchen all the time, so I would love to try it. You had me at simple! 🙂 This looks so delicious and I LOVE the ease of the recipe!